Want to earn extra credit! Check out the opportunity below! 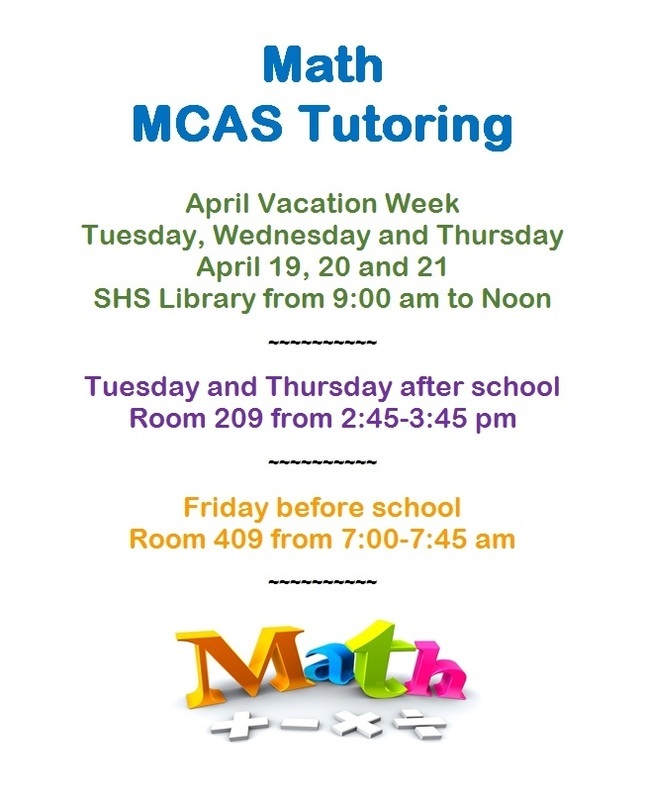 Open to all students taking the MCAS Math on May 17 & 18, and any seniors & juniors interested in helping out a few days after school!